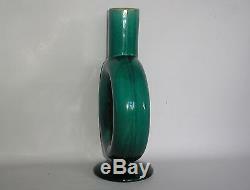 Very Rare Tubular Moon Vase. 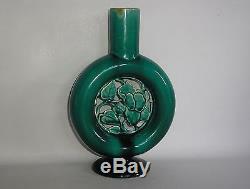 Christopher Dresser for Linthorpe Pottery. 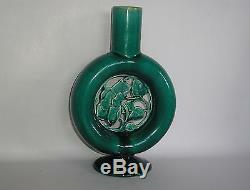 Typical strong colour glaze with innovative oriental influence in the design. Backstamp is good and clear with Dr. 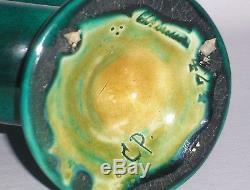 Stands 8.5" (21.7 cm) tall and 5.75" (14.6 cm) diameter at widest point. Weight is just over 510 gm. Note This item is currently available at Tara Antiques The Square, Stow on the Wold. Please examine photographs as they are an important part of my description. I can make mistakes and only put it right if you let me know. 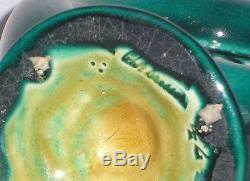 Visit my shop for other interesting and collectable items. 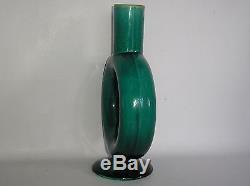 The item "Christopher Dresser Linthorpe Pottery Tubular Moon Vase Studio Arts and Crafts" is in sale since Friday, September 15, 2017. 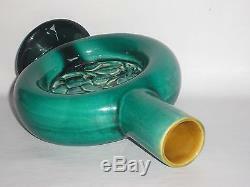 This item is in the category "Antiques\Periods/Styles\Arts & Crafts Movement".weir" and is located in Moreton in Marsh. This item can be shipped worldwide.